Classified as an atypical medication, Geodon is able to lessen the effects of dopamine and serotonin in the brain. By doing this, it ensures that the patient is able to control their symptoms and have fewer relapses. Geodon should only be used by adults and children who are over the age of 10 years old. 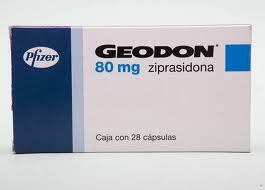 Geodon is available in capsule and injection form, with the capsule being more widely used. It is normally taken twice daily and it is recommended that it be taken with food. An important factor to consider when using Geodon is the fact that it needs to be taken at the same time each day in order to maintain even levels of it in your body. The patient should always take Geodon exactly as prescribed and no changes should be made to the dosages without consulting a doctor.